Some Old Testament parables tell a complete story, e.g., Jotham’s parable of the trees crowning a king. Others, such as those in Psalm 37 are short and sometimes even appear terse. Whether long or short, each parable has a spiritual message that unfolds through ideas, incidents, or natural objects in the physical world. In Psalm 37 King David included three parables of one to two verses each. These short parables compared wicked, ruthless men to plants. As we read reading Psalm 37, we imagine an older and wiser King David. He is no longer the brash aspirant to Israel’s throne or a newly crowned king. This King David comes across as a person has seen a wide range of events and people in his life time. David has dealt with his sin of having Uriah killed so he could marry Bathsheba. He knew his daughter was raped and subsequently dealt with the murder of Crown Prince Amnon. King David was deposed at Israel’s king and fought a heart-breaking battle to regain the throne. God, who David adored, told David that his hands were too bloody to build God’s temple. the fields, they will vanish” (Psalm 37:20 NIV). Psalm 37 begins with a parable in verses 1 and 2. Evil men are compared to grass which will soon withers and dies away. When I lived in San Francisco, plants bloomed all year around because of continuous rain and moisture in the air. It was difficult for me to imagine grass withering and field flowers fading (verse 20). But, sometime I drove across the Golden Gate Bridge and travel up Highway 80 into the Sacramento Valley. In July, August, and even into September and October, the grass along the highway was brown and appeared dead. Few if any wildflowers grew along the highway. The same was true of David’s Israel. There, the rains came October through March. At that time, the grass was green and flourished. As spring progresses into summer, the grass turned brown from the scorching heat of the sun and paucity of rain. The beauty of the fields to include any wild flowers that grew there, dried and turned brown. David identified that wicked men will vanish like the beauty of the fields (Psalm 37:20), i.e., in the heat of summer with little rain fall, plants turn into brown straw. David’s third plant parable, verses 35-36, is the most complete. In it David compared wicked and ruthless men to a green tree in its native soil; but, over time these men disappear. In some Bibles (KJV and ESV), green tree is translated as a green bay tree. Characteristics of the bay laurel tree make it a fitting comparison to the transience of wicked, ruthless men. him, he could not be found” (Psalm 37:35-36 NIV). In both the KJV and ESV versions of the Bible, green tree is translated as green laurel tree. 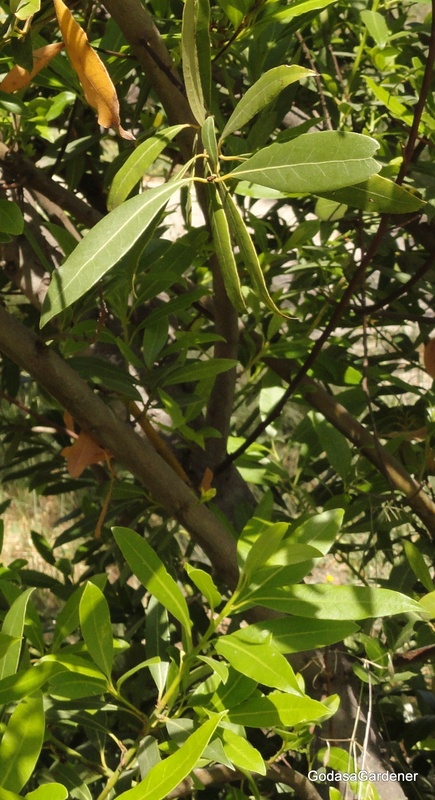 In Israel, laurel trees are Laurus nobilis, called the sweet bay laurel because bay leaves come from the tree. 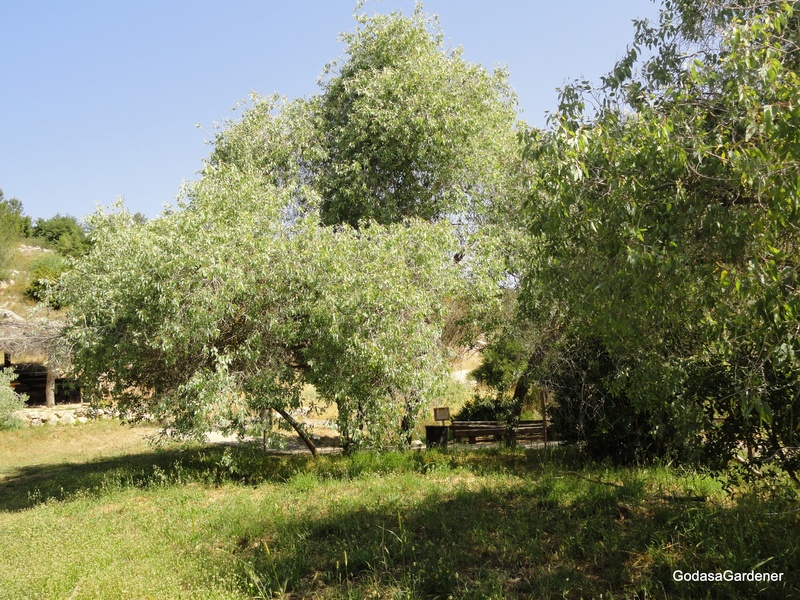 Laurel trees grew on Mount Hermon, in the Judean and Samarian mountains, and in the Jordan Valley. Although laurel trees grow in a wide variety of soils, they thrive in moisture-retentive soils. The laurel is an evergreen tree that can grow 60 feet tall; however, most are much smaller at eight-to-twelve feet. Left unattended, laurel trees can form a small thicket. 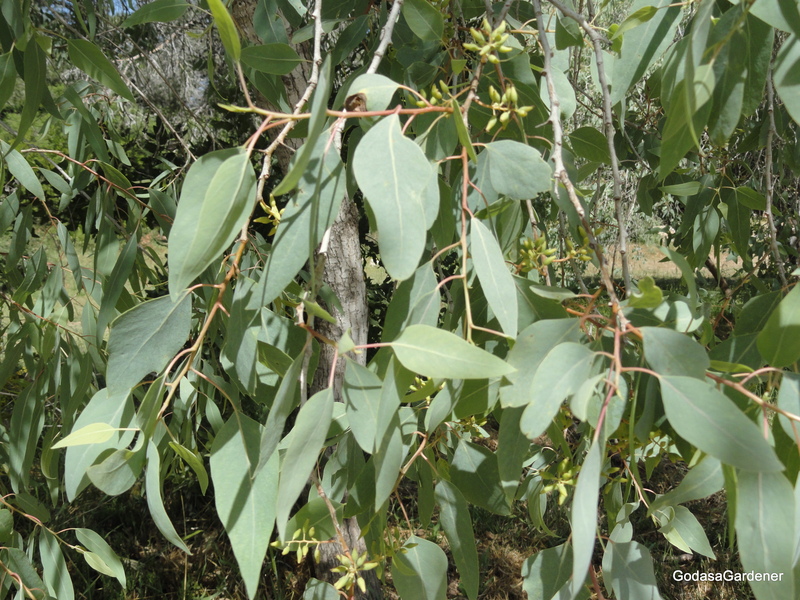 One way to identify a laurel tree is to bruise or cut a leaf and smell the sweet aroma; the aroma is of a bay leaf. One of the most important attributes of laurel trees—and one that King David apparently knew—was that laurel trees thrive where they are planted. They tend to wilt and even die if they are moved repeatedly. Ideally, gardeners plant laurel trees and allow them to grow in place. Laurel trees prefer partial shade. Although they tolerate strong winds, laurel trees haven’t adapted to maritime exposure. The tree is frost-sensitive. A few master gardeners including myself planted laurel trees here in the Roanoke Valley. Although smaller laurel trees tolerated several of our (plant zones seven) winters, all died after a few years. We learned that in the Roanoke valley, laurel trees grow best in protected areas such as next to a building. King David said that he saw wicked and ruthless men who flourished like a green laurel tree in its native soil. Probably, he was thinking of a mature laurel tree with a broad canopy and numerous branches. This tree never suffered the setback from being transplanting. Likewise, prosperous, wicked men never seemed to suffer set-backs. They achieved wealth and influence, caring little who they step on in the process. In spite of their seeming charmed lives, David noted that later he looked for these wicked men. They were gone. David concluded that wicked men don’t endure; they have no staying power. Perhaps, like a laurel tree wicked men can’t tolerate adversity—they are frost sensitive—and only flourish in a narrow environment. In the these three parables in Psalm 37, King David went beyond identifying the puzzle of seeing wicked ones prospering. In verse eight David elaborated on advice he gave in verse one. David said not to fret when evil men prosper because fretting leads to evil. When David said evil, he meant anger, resentful, or mimicking wicked and ruthless men’s business practices. Instead refrain from anger and hope in the Lord. When we hope in the Lord we take our bad as well as good times to him. We take our cares and our joys. The spiritual focus of these parables is: righteous men and women’s incentive to act right (using biblical moral-ethical standards) comes from knowing that ultimate power on earth and in heaven is in the hands of a just God. Even if the righteous person doesn’t experience worldly prosperity, they will be rewarded in heaven for how they acted on earth. In a later Psalm, David averred that the righteous flourish like a palm tree and like a cedar of Lebanon planted in the Lord’s house (Psalm 92:12-14). Righteous men bear fruit in old age and stay both fresh and green. In contrast to King David’s parables that speak to the transience of wicked men, probably each us have seen such men and woman thrived their entire career, even life. Was David wrong in verses 35-36? What did he mean? MacDonald (1990) wrote that King David may have been stating a general principle. He noted that Holy Scripture often makes sweeping statements; it describes a general, or normal, outwork of spiritual laws. Exceptions don’t disprove the overall principles. Reflection: Have you studied the behavior of wicked persons? Do they have staying power? The green laurel tree symbolizing the accomplishment of wicked men is found in Psalm 37. Psalm 37 was written by King David probably in his later years. Each stanza depicts a complete thought; yet, taken together, all stanzas develop a common theme. In Psalm 37, the common theme is how the wicked flourish. The wicked man’s brief accomplishments are contrasted with God’s continued and sustaining help to the righteous. Several stanzas in Psalm 37 refer to plants. Christians should not be envious of those who do wrong even when the wicked seem to have everything going for them. The wicked are like the grass, like green plants they die away (Psalm 37:1-2). The wicked are the Lord’s enemies and like the beauty of the fields, they will vanish (Psalm 37:20). Think about wild flowers that grow in the green areas between divided interstate roadways. One week these wild flowers are green, lush, and abundant. A few weeks later they are withered. Road crews mow them down as if they were weeds. Their transient beauty vanishes like smoke; so will wicked men. Verses 35 and 36 compared wicked men to the green laurel tree. David wrote that he saw a wicked and ruthless man who flourished like a green tree in its native soil. 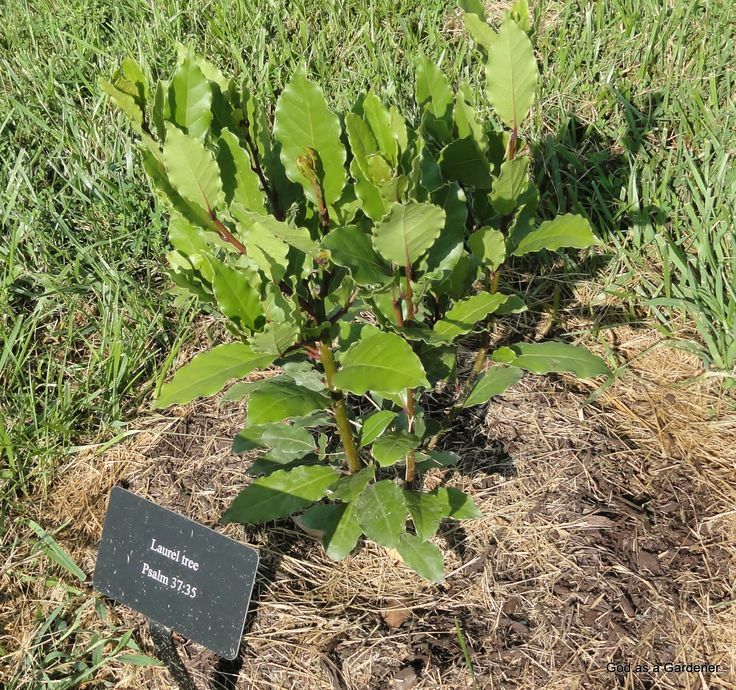 David’s laurel tree never suffered the setback that comes from transplanting. The tree was in its native soil, thus grew large and vigorous. The wicked man was correspondingly prosperous and powerful. A short time later, however, David looked for the wicked man. He was gone; David could not find him. David’s wisdom was that the wicked do not endure; they have no staying power. David cautioned his listeners not to fret when they saw wicked, ruthless men prospering. Fretting leads to evil (Psalm 37:8-9). Instead David implored the righteous to refrain from anger and to hope in the Lord. In a later Psalm, David averred that the righteous will flourish like a palm tree (Psalm 92:12-14); the righteous will grow like a cedar of Lebanon planted in the house of the Lord. They will still bear fruit in old age and stay fresh and green. The laurel tree is the Laurus nobilis. The laurel tree is called the true laurel and the sweet bay laurel because the culinary seasoning bay leaves come from the tree. Bay laurel is native to the southern Mediterranean Sea region. In Israel, laurel trees grow in most areas except the desert. The laurel tree will grow in a wide variety of soils, e.g., sand, loam and clay, but does best in moisture-retentive soils. 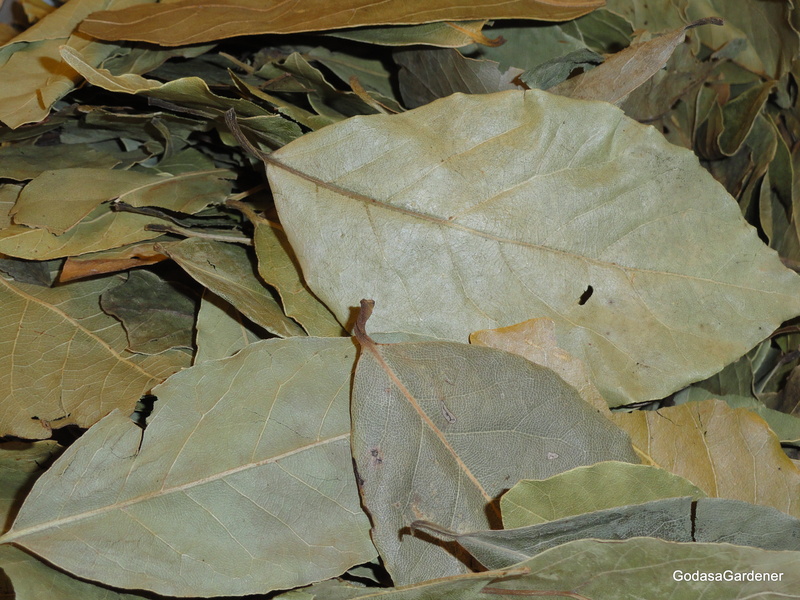 Leaves are elliptic to ovate in shape and 2-4 inches long and .75-1.75 inches wide. 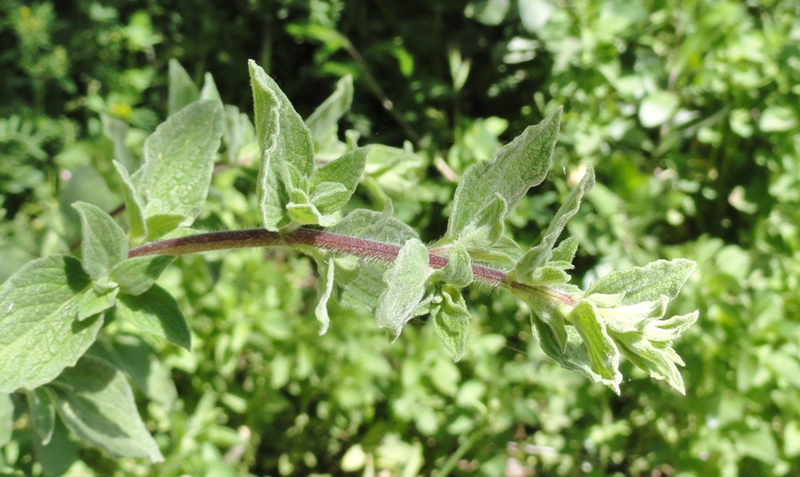 Leaf margins tend to undulate softly; leaves feel leathery. The leaf surface is a lustrous dark green. One way to identify a laurel tree is to bruise or cut the leaves and smell the sweet aromatic leaves. A number of writers have proposed symbolism for the Laurus nobilis to include notable, victory, merit, accomplishments, honor, praise, martyrdom, and old age. Psalm 37 seems to fit most of these concepts; however, I believe the best description is flourish. Flourish means to grow luxuriantly, to achieve success or prosper, and to reach a height of development or influence. King David compared the wicked to a luxuriant laurel tree, perhaps the one about 60 feet tall with a broad canopy and numerous branches growing up from the ground. These wicked, ruthless men flourished like the laurel. They achieved wealth and influence, caring little who they stepped on to achieve. Righteous men see these same ruthless men and women today and ask, how can God let them get ahead when I’m stuck in this job year after year? I’m a Christian, isn’t God supposed to help and bless me? What about God’s promise that “in his days the righteous will flourish; prosperity will abound until the moon is no more” (Psalm 72:7). I’m not flourishing at work or __________(you fill in the blank)! When believers encounter situations where the wicked seem to achieve everything their heart’s desire, it is time to remember that God cannot lie and his word tells us two important facts. First, the righteous will flourish (Psalm 92:12) and God will not forsake his faithful ones (Psalm 37:28). Second, evildoers will be forever destroyed (Psalm 37:20; Psalm 92:7). Our reaction to evil-doers should not be envy but sadness and prayer for their redemption. The only heaven, or nearest heaven, that wicked, ruthless men and women will experience is on earth. Seeing ruthless men and women achieve is not easy for a believer. At times I’ve asked God, “how can you let this happen?” In those times, God did not give me an answer; probably because I was not in a mind frame to receive it. In retrospect, I can see that instead of anger and resentment, my response to workplace wickedness should have been compassion and prayer. I cannot be responsible for evil, ruthless men and women flourishing. I am only responsible for my thoughts and behavior. At all times, I must be right with God, trusting that his ways are not my ways and his thoughts are not my thoughts (Isaiah 55:8). They are much, better and wiser than mine. When I concentrate on flourishing in the garden where God planted me, I don’t obsess about whether or not ruthless individuals are getting ahead. The story of Absalom’s conspiracy and David’s retreat to Mahaniam where he and his men received welcome supplies is told in 2 Samuel chapters 15-18. After killing his older brother Amnon, Absalom fled to Geshar. Only after five years did David welcomed Absalom back into his presence. After returning from exile, Absalom set out to win the hearts of the men of Israel from David. Absalom greeted those who approached him warmly reaching out his hand and kissing them. Absalom’s primary assertion was that David was unresponsive to the claims and complaints of the people. After years of undermining David, Absalom went to Hebron where he had himself declared King. Hebron was where David ruled Judah for 7 years. Absalom had a large following of men from Israel and some from the tribe of Judah where Hebron was located. In addition, Ahithophel, David’s most important and most trusted adviser, sided with Absalom. Hearing that Absalom was declared king and not knowing the extent of the rebellion, David fled Jerusalem with his household and close fighting men. David walked barefoot up the road to the top of the Mount of Olives; he wept and his head was covered in grief. When David reached the summit, Hushai, one of his trusted advisers, met him. David sent Hushai back to Jerusalem to foil Absalom’s plans and to serve as David’s spy. Shortly, after David passed over the summit of the Mount of Olives, Ziba met him with a string of donkeys, food, and wine. As David traveled away from Jerusalem and approached Buhurim, Shimei a man from the tribe of Benjamin (the tribe of Saul) cursed David and threw stones at him; however, David would not allow his men to harm Shimei. David said that Shimei’s cursing may be at God’s direction. Eventually, David, his tired household, and fighting men arrived at Mahanaim where he set up camp. About 100 miles north-northwest of Jerusalem, Mahanaim had historical significance. It was in Mahanaim that Saul’s son, Ish-Bosheth, lived during his two year reign as king over the tribes of Israel. While David was at Mahanaim, three wealthy men brought him provisions that included bedding, cooking and eating bowls, sheep, dairy products, grains, and beans. The three benefactors were an Ammonite leader, Shobi, who probably was appointed governor after David conquered Rabbah (2 Samuel 12:29); Makir of Lo Debar who first sheltered Mephibosheth, the crippled son of Jonathan (2 Samuel 9:4); and the 80 year old Barzillai, the Gileadite from Rogelim. Meanwhile King Absalom entered Jerusalem and took over David’s palace. Increasingly more men from the northern tribes of Israel and from Judah swore allegiance to Absalom. Through God’s intervention, Abaslom decided not to mount a focused attack to kill David immediately. Rather Absalom led his men against David and his fighters who were on the eastern side of the Jordan River in the forest of Ephraim. David must have been confident his commanders would win the battle against Absalom because them to deal gently with Absalom. In the battle David’s long-time commander, Joab, deliberately killed Absalom. After some negotiations, David returned to Jerusalem as King over Israel and Judah. The bean was the Vicia faba known as the broad bean, faba bean, and Vicia vulgaris. Beans are one of the oldest cultivated plants. Their origin is North Africa or the Middle East. Although beans are not drought resistant, they are sufficiently hearty to live through mild frosts. The broad bean can grow in semi-shade as well as strong sunlight and tolerates. Beans are a green, up-right, annual, legume. The attractive flower is white with dark purple markings. Mature beans are between 3–9 inches long. Beans should be harvested as beans inside mature. If harvesting is delayed until all pods are ripe, pods nearer the bottom of the plant split and beans are lost. Beans are oblong or oval, smooth, and flattened on the sides. Bean color is mottled reddish-brown. In the ancient Middle East, beans were and are an important alternative source of protein particularly for those living in or near poverty. Even today in the Middle East beans remain one of the most important winter crops. Broad bean flour is very rich in protein, vitamins and minerals; therefore, it is used alone or mixed with other flours to make bread. Traditionally, beans were associated with pending conflict, laughter, or something small. European folklore claims that planting beans during the night time or on Good Friday is good luck. In Nicaragua newlyweds are given a bowl of beans for good luck. When beans were included in the provisions brought to David at Manhaniam, luck was probably not considered. More likely David’s benefactors were providing a high source of protein that was both a meat and flour extender. Extend means to make the offer of or to make available. David’s three benefactors at Manhaniam extend provisions including beans to David when he was in severe need. The three men who extended themselves to support David knew that they would likely forfeit their lives and lands if Absalom’s rebellion prevailed. The Bible has a great deal to say about individuals who willingly extend help to the needy. A proverb in Biblical Israel about a noble woman was, “she opens her arms to the poor and extends her hand to the needy” (Proverbs 31:20). Extending assistance to the needy included sharing food (Proverbs 22:9), lending money (Proverbs 28:8) and defending rights (Proverbs 31:9). Those who were kind and extend assistance to the needy were blessed (Proverbs 14:21; 22:9) and lacked nothing (Proverbs 28:27). In the New Testament two verses use the word “extend or extent.” In describing God’s great and glorious provision of salvation for his people, Mary (the mother of Christ) said that God extends his mercy to those that fear him from generation to generation (Luke 1:50). Saint John wrote that Christ loved his own who were in the world and showed them the fullest extent of his love (John 13:1). Showing the fullest extent of his love entailed Christ being tortured, crucified, and dying in place of each of us. Absalom won the hearts of the Israelites because he was young, attractive, smooth talking, and extended himself with handshakes and kisses to the Israelites (2 Samuel 14:25; 15:1-6). In contrast, David was elderly, more introspective, and less available to the people. Yet, David had solid friends who stood by him during Absalom’s rebellion even when David retreated to the east side of the Jordan River. From the time David began his retreat and all during the time of his exile, David extended his plans to return as king of Israel and Judah. Similarly, during his entire life Christ demonstrated the extent of his love for individuals and humanity. Reflection. How can you extend your love to other individuals? How can you share your food and money with others? How can you defend the rights of the poor and needy?